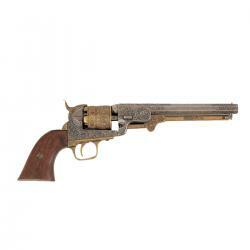 A non-firing copy of the Smith and Wesson original, well known to all western history aficionados. This piece replicates the original in size, weight and appearance, and the parts function much like the original, even replicating the pivot action for reloading. However, parts cannot be interchanged or the replica made to fire ammunition. 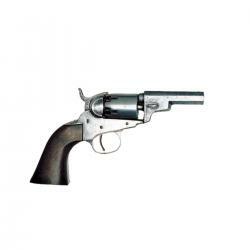 A favorite of the U.S. Cavalry, and Wells Fargo agents. 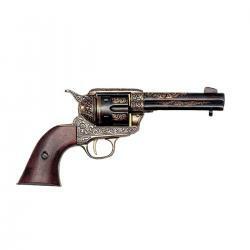 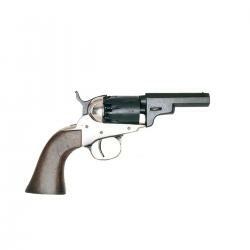 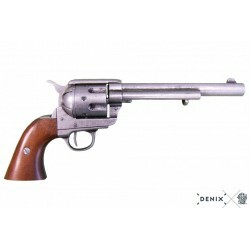 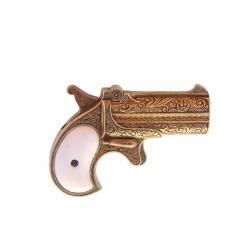 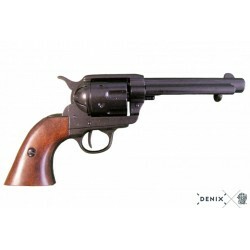 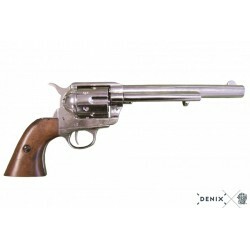 This revolver is also the same as one of the pistols used by outlaw Frank James in the epic western film "The James Gang". 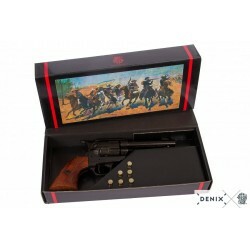 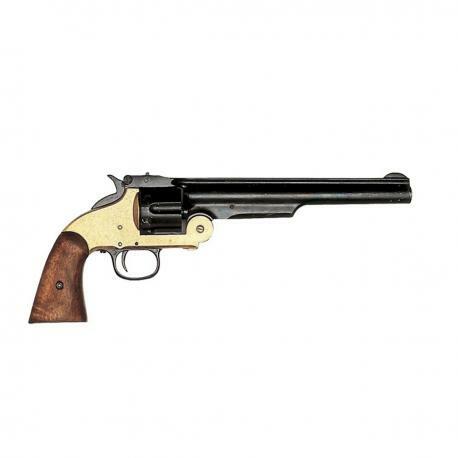 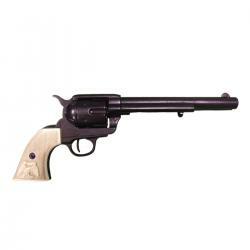 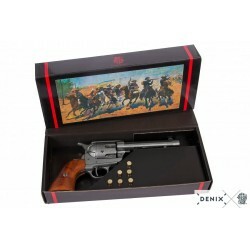 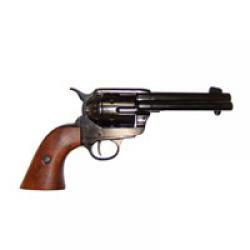 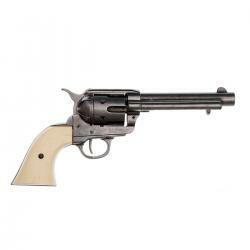 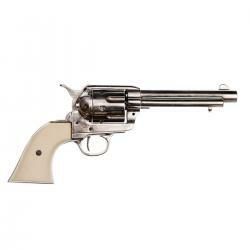 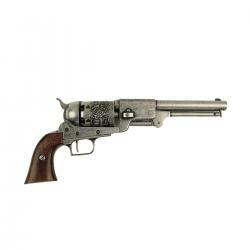 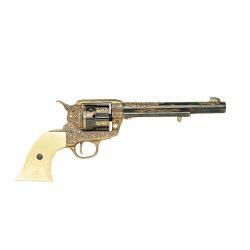 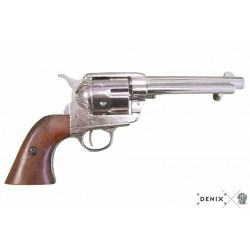 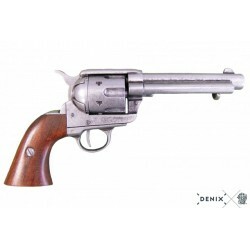 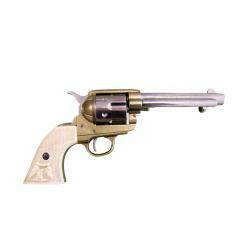 Features include a 8" barrel, top latch for quick loading, wood grips & deluxe finish.